I look forward to Giving Tuesday every year, because I get to meet amazing kids like Tate Hartzler. Tate’s journey with liver cancer began when he was 2 months old. While at Riley Hospital for Children, Tate was diagnosed with stage 3 heptoblastoma. He had a tumor the size of a tennis ball in his liver. Tate is now 7 years old and has been cancer-free for 6 years. He loves music and is also an exceptional athlete. He plays basketball, baseball and football, and has earned a red and white belt in martial arts. On November 27, 500 donors will unlock a $15,000 bonus gift from Fairway Outdoor. Plus, all gifts will be doubled thanks to matching sponsor French Lick Resort. 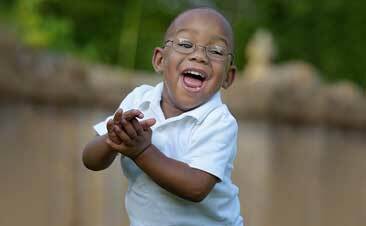 Riley Hospital saved Tate’s life and continues to save the lives of other countless children thanks to supporters like you. 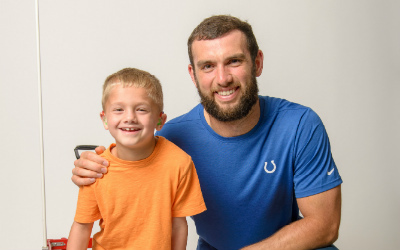 Andrew Luck is the Indianapolis Colts Quarterback and Giving Tuesday Ambassador for Riley Children’s Foundation. He is a dedicated supporter of Riley Hospital for Children at Indiana University Health where he leads the Riley at IU Health Change the Play program.